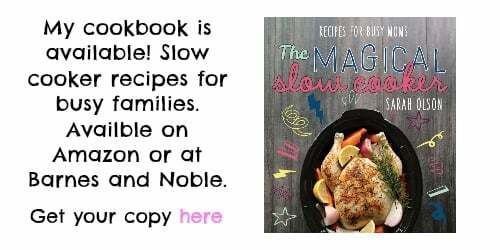 Follow The Magical Slow Cooker on Facebook for weekly slow cooker recipes! This slow cooker lemon chicken recipe is seriously the best slow cooker chicken dish you will ever make. I struggle to find healthy recipes that I actually crave. This chicken is so tangy and tender. I have made it 3 times in the last 2 weeks! To make this recipe for slow cooker lemon chicken, you put flour, and an zesty italian seasoning(or garlic and herb) packet in a ziplock bag, add your chicken, and shake. Then cook your chicken in a small amount of oil. Add lemon juice and chicken broth to the slow cooker, if you want to cook broccoli with the chicken, make a foil packet, with the cut up broccoli, olive oil, salt and pepper, and place on top of the chicken and sauce. Cook on HIGH for 3 hours, without peeking! It is easy to clean up, since you shake the chicken with the seasonings in a ziplock bag. Serve this slow cooker lemon chicken over rice, the chicken is very tangy, and goes perfect with rice! Super easy clean up, shake the seasonings, flour and chicken in a ziplock bag. Drizzle lemon sauce from bottom of slow cooker on to chicken when serving. Serve over rice, Enjoy! 1 to 1½ pounds boneless chicken breasts- The chicken I bought was thinly sliced. It works really well in this recipe. If you can't find it, get chicken tenderloins. Put dressing packet and flour in the ziplock bag. Add the chicken to the bag, and shake to coat the chicken. Brown chicken in a skillet with cooking oil, do this in batches if you need to. Just brown the chicken, don't worry about cooking it all the way. Put the lemon juice and chicken broth in the bottom of the slow cooker. If you want to cook the broccoli with the chicken, lay a big piece of foil on the counter, and place cut up broccoli crowns on it, drizzle with olive oil, salt, and pepper. Fold up the foil to make a packet, and place on top of the chicken. Cook on HIGH for 3 hours, without peeking. Make sure to drizzle lemon sauce from bottom of slow cooker onto the chicken when serving. This looks so amazing! I can’t wait to try it later this week. The pictures look great! Thanks Judy! I know you’ll love it! This recipe was so yummy. I didn’t have any broccoli, and it still turned out good. This is the best crock pot meal I’ve ever had! Can you subsitute zesty italian dressing for the dry dressing packet? If so how much? This sounds so amazing! I am stopping to ge the salad dressing packette and lemons later today. Gonna try it on the stove cause I’m out of time for slow cooker today, although this is the best way I’ve found to cook! 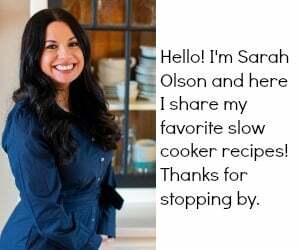 Have you tried taking a chicken, sprinkling seasoning all over it (I used Montreal Steak Seasoning), and putting it in your slow cooker on LOW for 8 hours?? When you come home your house will smell devine. You don’t add any liquid to the pot. The chicken will be so moist and wonderful!!! Mine browns and has a crusty skin on top too!!! It’s incredible! 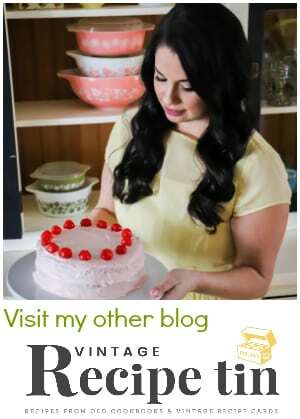 I am going to add you to my blog list! Thanks!!! 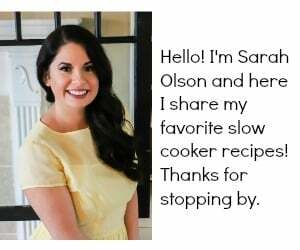 This is the BEST slow cooker recipe I have ever made!! Thank you so much! I thought it was great. The family loved it. So moist and tasty. Having tried this recipe, I was disappointed. It was much too lemony ( I love lemon flavor). I added about 2 T of honey and thickened with cornstarch with a little water. Broccoli was overcooked ( used low setting for that) and not attractive. Do you have to brown the chicken? Can you use frozen chicken and place in the crock pot? I have picky eaters in this house and this dish was devoured! The only thing I changed was using 2/3 chicken broth (Kitchen Basic low sodium) since I had a little more chicken than the recipe calls for and added 4 garlic cloves to the “gravy”. I cooked the chicken for 2.5 hours then added the broccoli on top for the last half hour of cooking. I served it with a side of parmesean cheese. I love this combination of flavors! Can’t wait to try! Lemon Chicken is one of my favorites, I have never done it in the slow cooker, excited to try. This looks so good, I love lemon chicken…. how many people does this recipe feed? Would it feed 4 adults and 1 child? It seems as though one pound of chicken breast yields about two breast, so 1.5 pounds would onky be three breasts, which doesn’t seem like enough to feed four adults and one child…maybe I am missing something…? We had this tonight. It was delicious. I cooked the brocolli separate though. The chicken was so moist!! Definitely a keeper!! Thank you. I just found this site and im soooo happy i did! I’m making this tomoro nite! It looks simple, healthy and super easy!! Any suggestions for making this into a freezer meal? I added about 1/3 cup of white wine! Made it so fancy!! Along with the broth and lemon? I used chicken tenderloins but cooked for less than 3 hrs. Probably 2-1/4 hrs would be enough on high. I also put the broccoli in foil on top & it got too soggy & an unappetizing shade of green. Next time, I’ll cook the broccoli separately. I’m trying this for years first time and really looking forward to eating it! I had to batter twice because I am doubling up the amount of chicken, tip: definitely pat the chicken as dry as possible, I got a better coating the second time around!